Several states that recently introduced legislation have included non-uniform effective dates. Arizona’s pending legislation proposes an effective date of September 1, 2013. 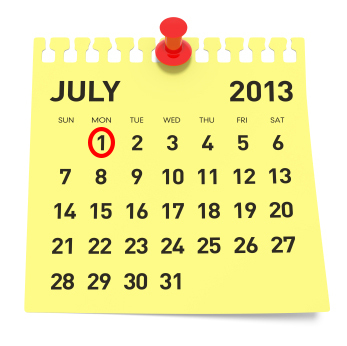 Oklahoma’s pending legislation proposes an effective date of July 1, 2014. And Puerto Rico’s simultaneous enactment of Revised Article 9 and the Article 9 amendments already became effective on January 17, 2013. It remains to be seen whether the states that have not yet introduced the amendments to their legislatures will be able to meet the uniform effective date. Obviously, the more states that implement non-uniform effective dates, the more confusion for filers – especially regarding which forms to use and the proper way to search and file against debtors who are individuals. Delaware’s pending legislation omits the driver’s license as a source of an individual debtor’s correct name in Section 9-503(a)(4), which is a deviation from both Alternative A (only if) and Alternative B (safe harbor). Pennsylvania’s pending legislation continues to require the type of organization, jurisdiction of organization and the organizational ID number, if any, for entity debtors on initial financing statements in Section 9-516(b)(5)(iii). South Dakota has enacted the Article 9 Amendments and will continue to require the debtor’s taxpayer identification number. The new forms in Section 57A-9-521 do not include a field for this number. Wyoming has enacted legislation changing the statutory effective period of UCCs filed or continued on or after July 1, 2013, to ten years from the uniform five-year statutory period currently in place for all other states. Several states that enacted the Article 9 Amendments have subsequently introduced new bills to amend the enacted legislation. For example, Texas’ enactment omitted the amendment to Section 9-516(b)(5)(C), which results in keeping the requirement for entity debtors’ organizational information (type of organization, jurisdiction of organization and organizational ID number). In mid-February, however, new legislation was introduced to correct this mistake, but the new bill may end up with a delayed effective date of September 1, 2013, if it doesn’t get a vote of two-thirds of all members elected to each house. Oregon and Washington previously enacted Alternative B (safe harbor) for individual names. New bills are now pending in both of these states proposing to change from Alternative B to Alternative A. Awareness of state effective dates, non-uniform provisions and subsequent legislative changes to state enactments will help filers to minimize rejections and perfection issues related to the Article 9 Amendments. COGENCY GLOBAL INC. will continue to monitor the amendments to assist our clients in staying tuned in to this important information.